Tacoma Art Museum joins other local museums in staying open late (5–8 pm) and free to the public on the third Thursday of every month. 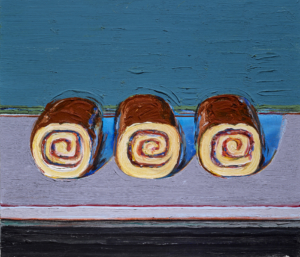 Enjoy all of our exhibitions on view, create a holiday card inspired by still life in TAM Studio, and enjoy sweet and savory treats from P&J’s Waffle Delight! Don’t miss the final weeks of Two Centuries of American Still-Life Painting: The Frank and Michelle Hevrdejs Collection! On view at TAM through January 7, 2018. Join TAM’s Teen Art Council for F.O.A.M., a free night of Film, Open mic, Art, or Making just for teens! Stop by the Tacoma Art Museum every third Thursday from 6 to 8 pm. 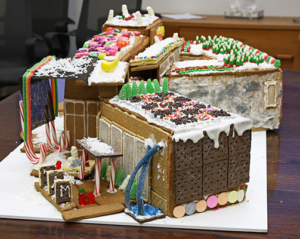 This month, we will be exploring gingerbread architecture. Don’t stay at home, go to F.O.A.M. !